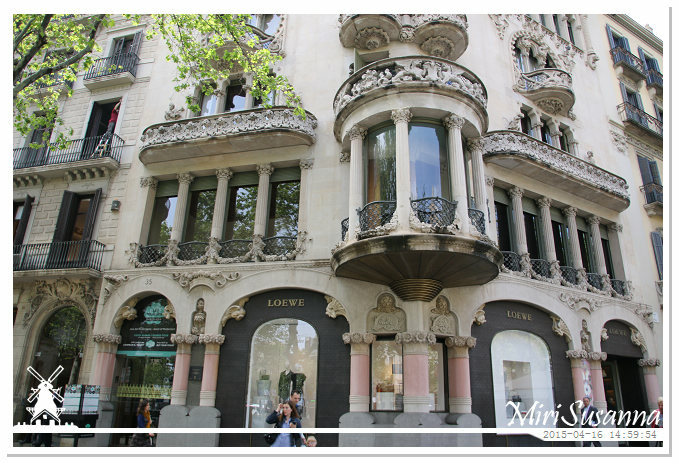 Passeig de Gràcia is one of the major avenues in Barcelona and is regarded as the most expensive street in Barcelona and in Spain. 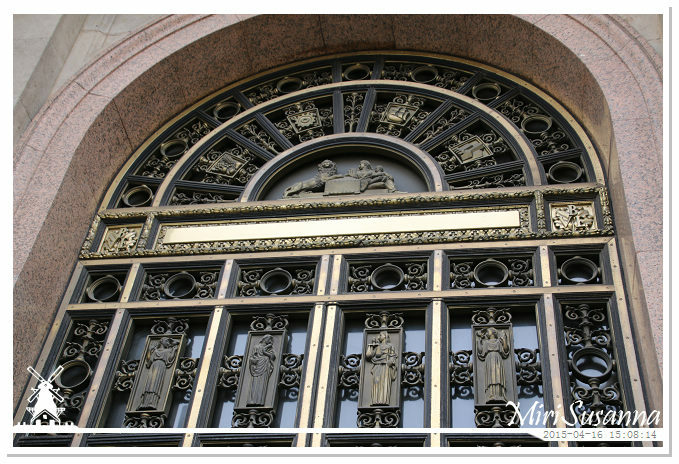 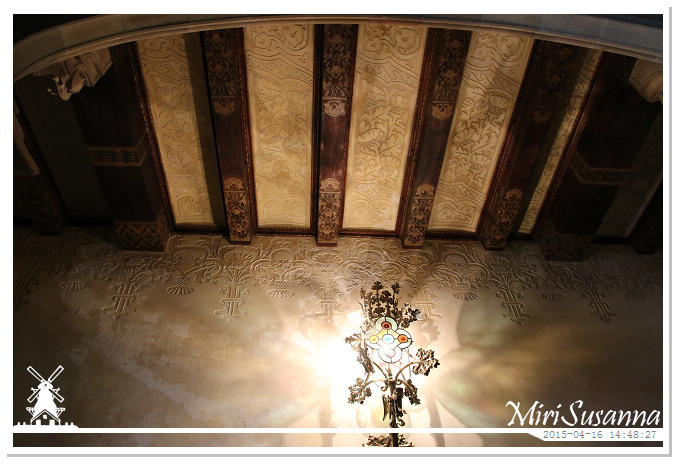 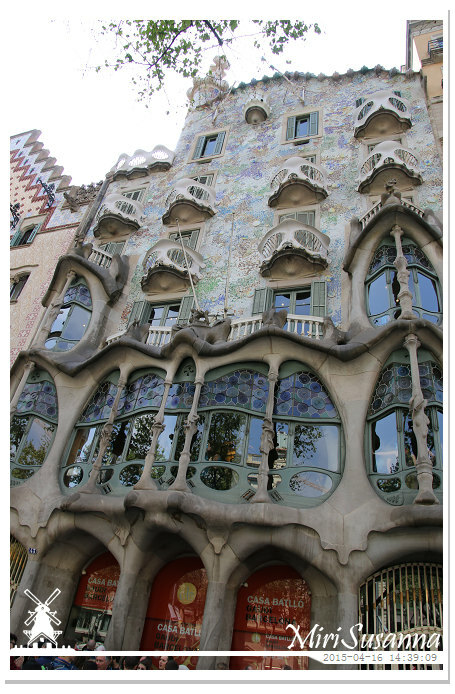 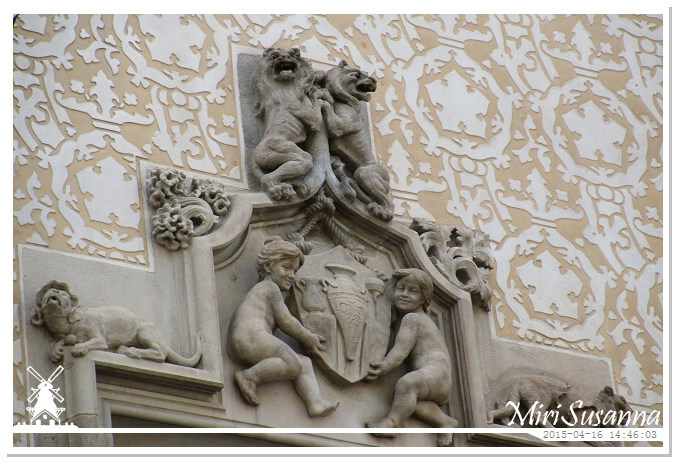 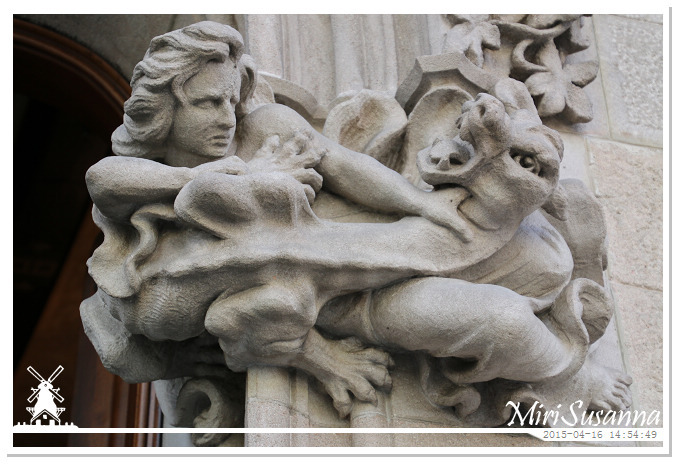 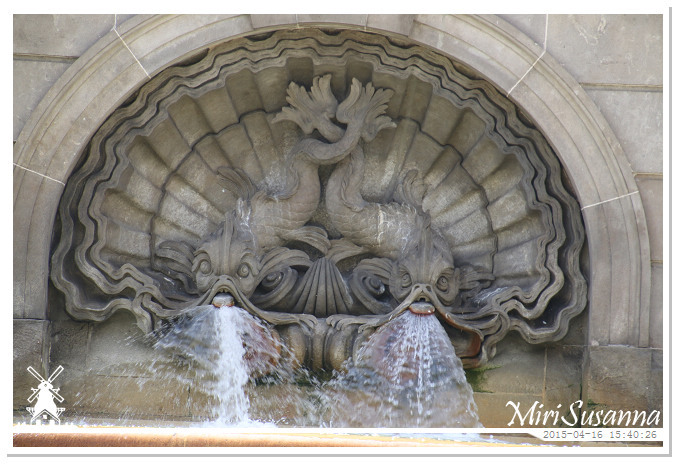 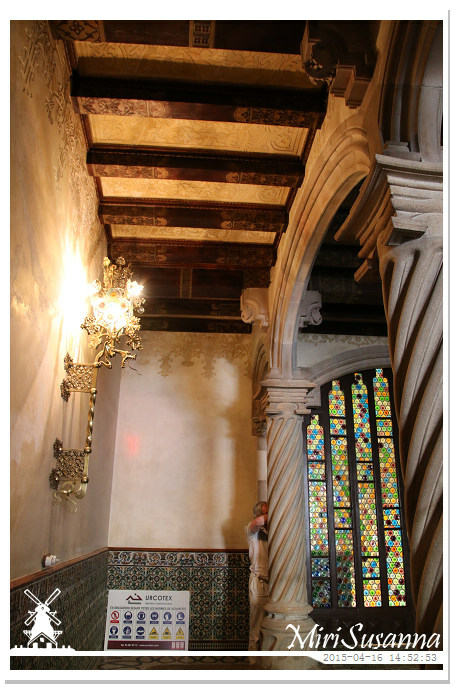 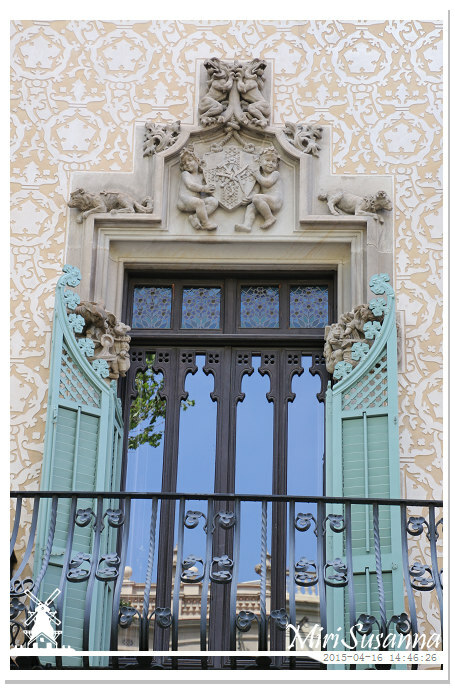 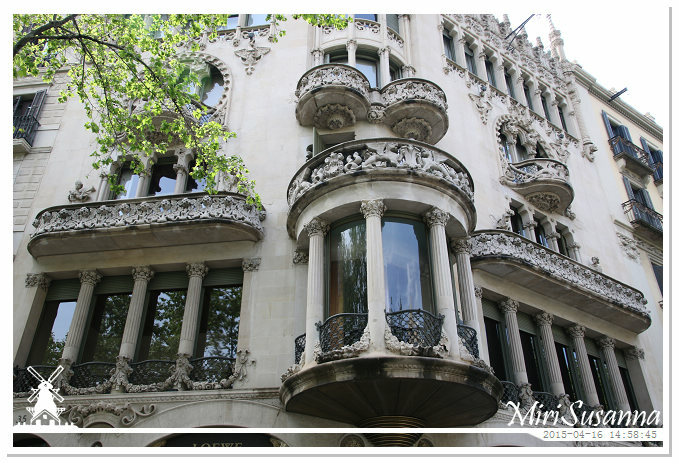 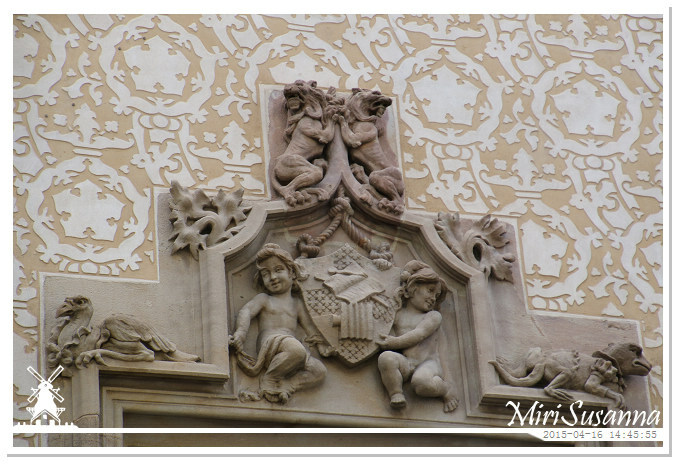 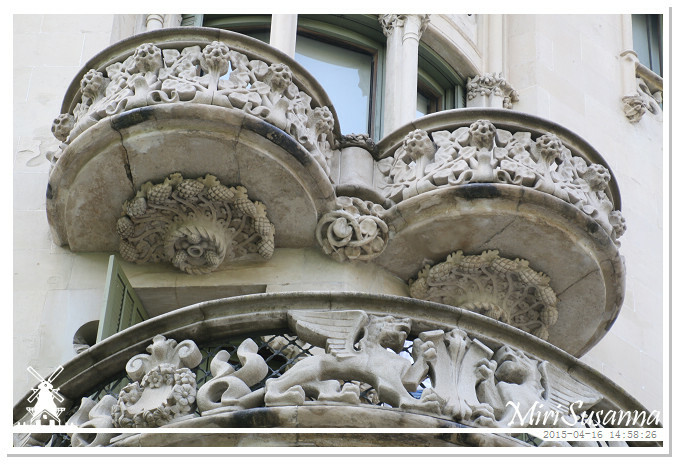 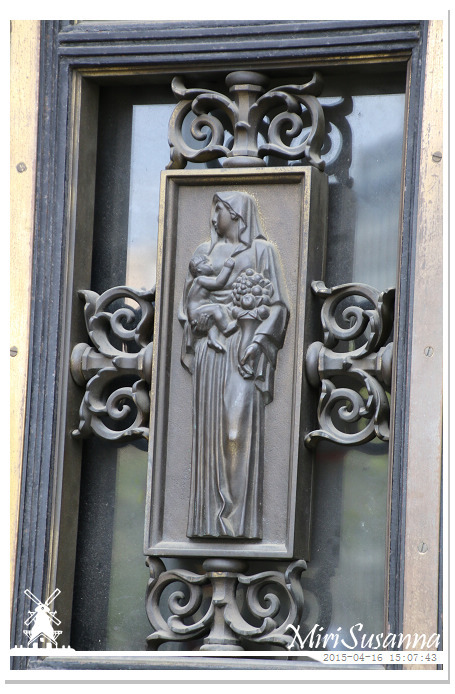 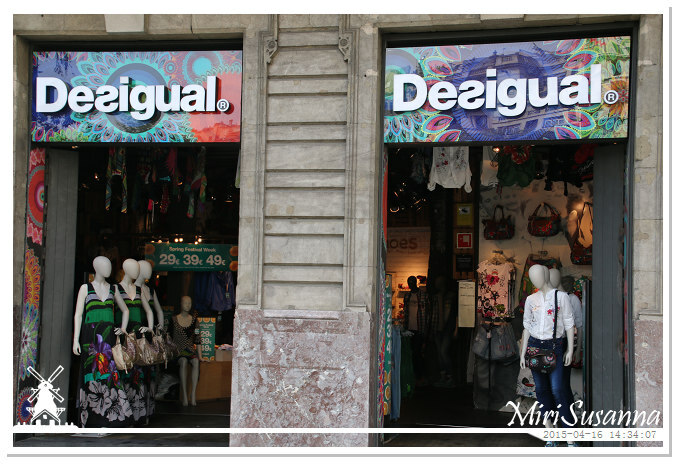 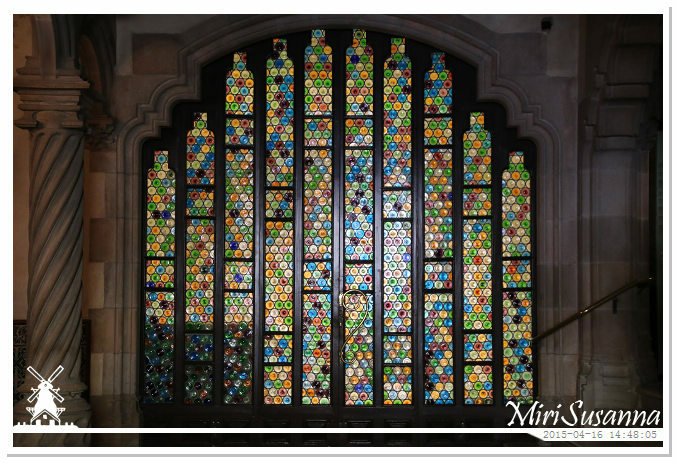 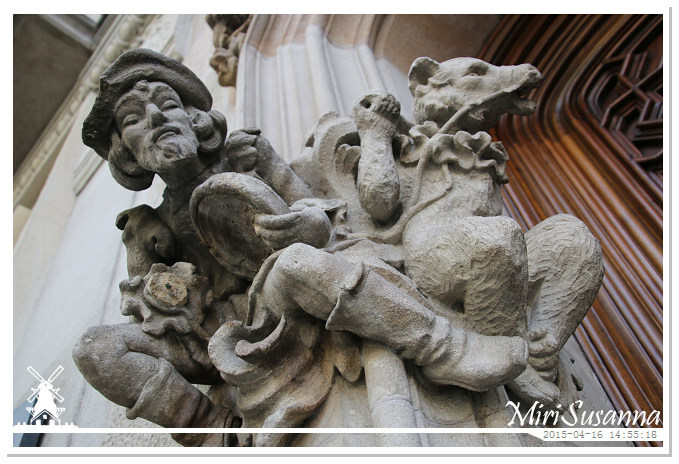 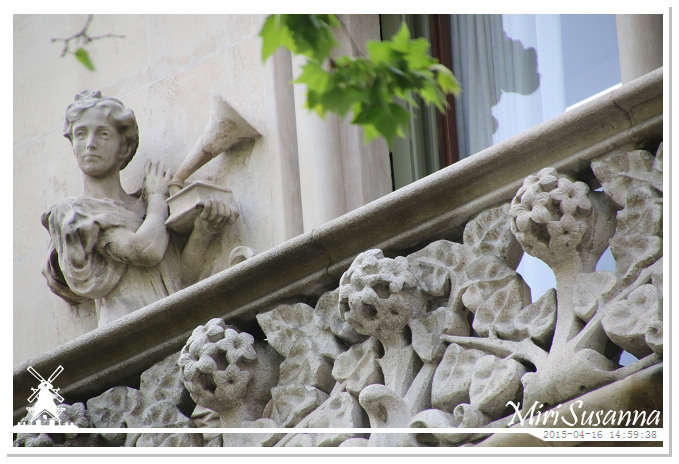 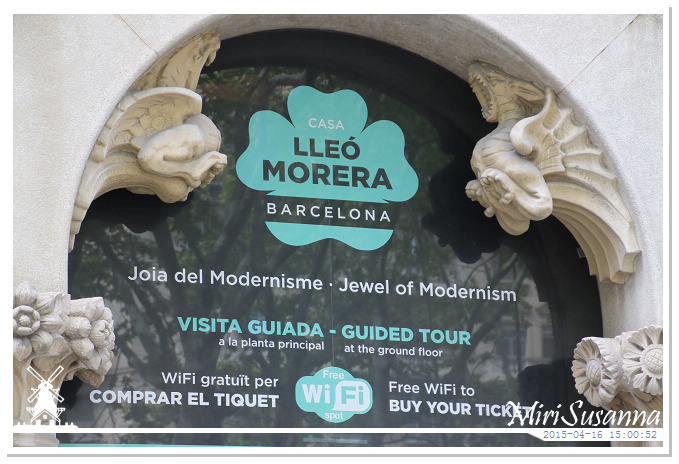 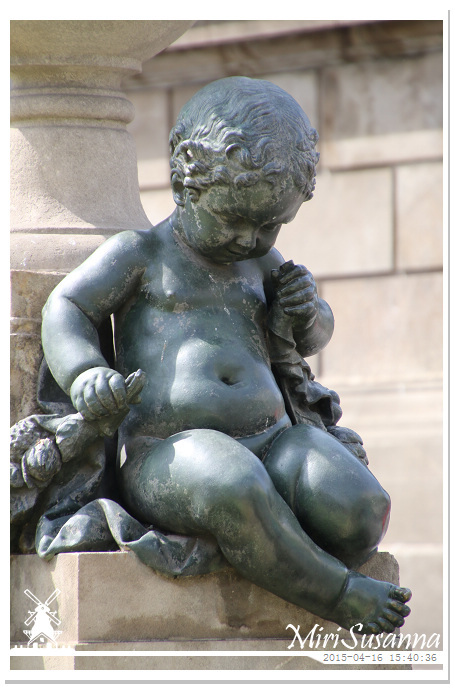 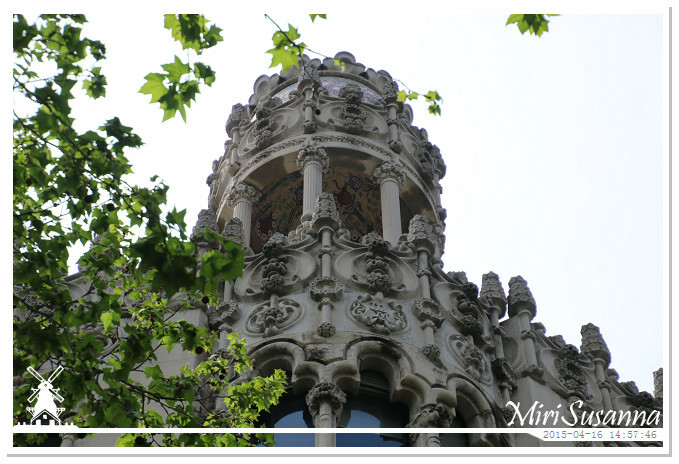 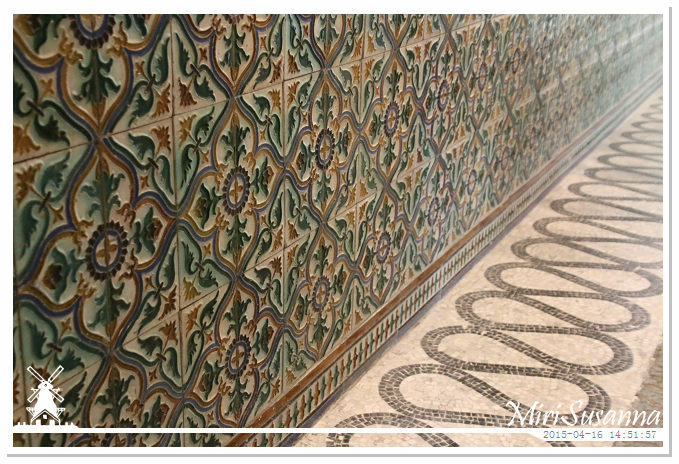 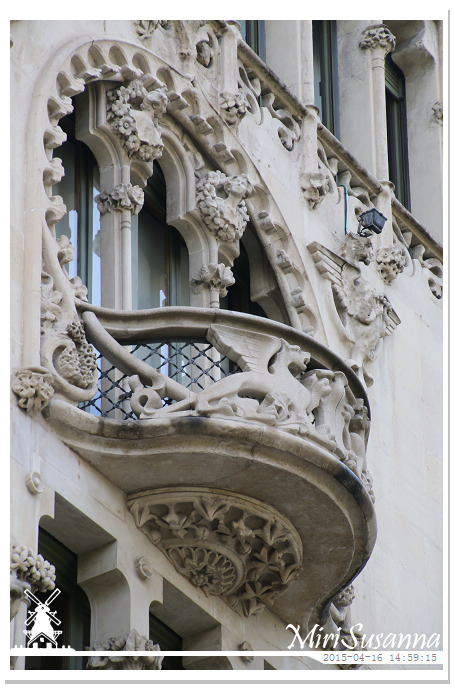 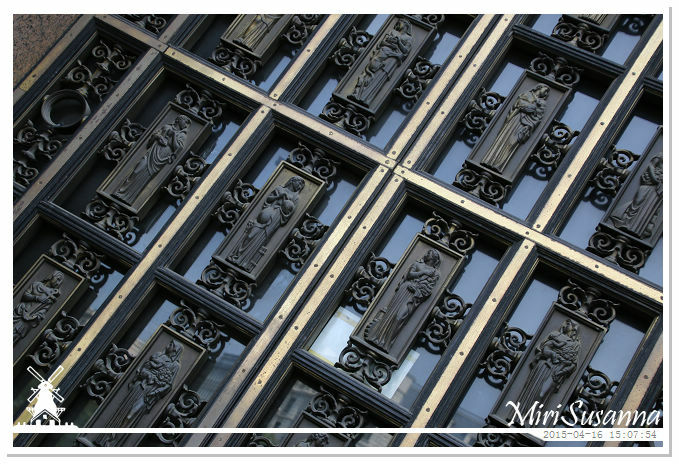 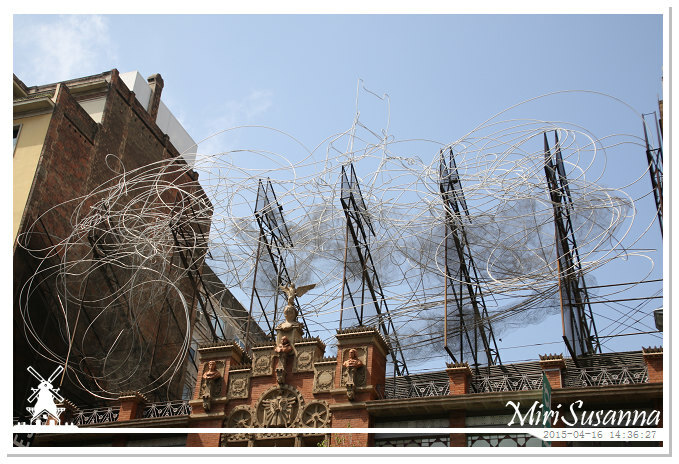 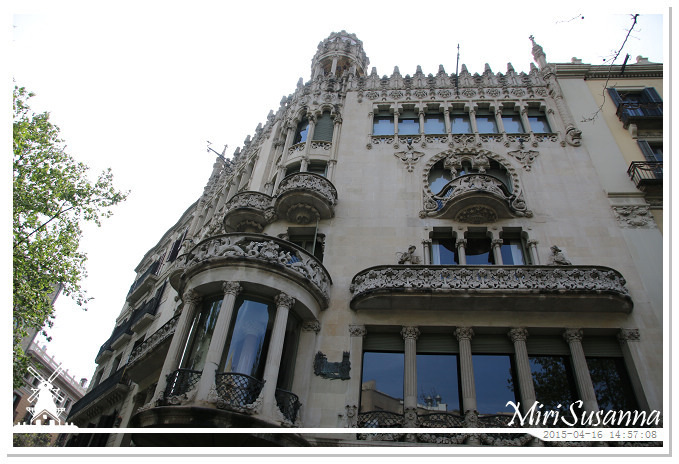 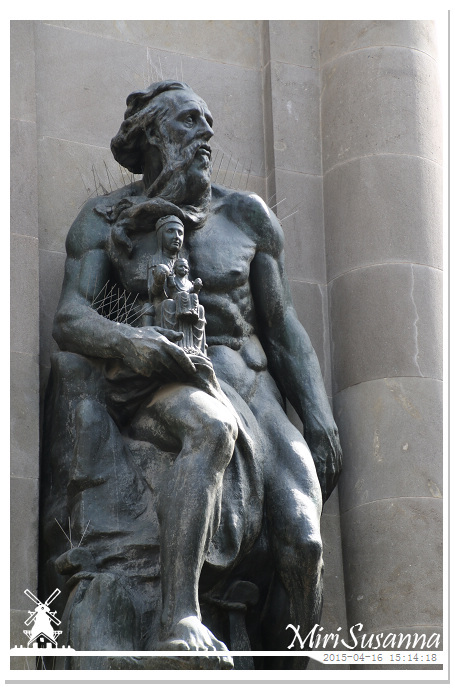 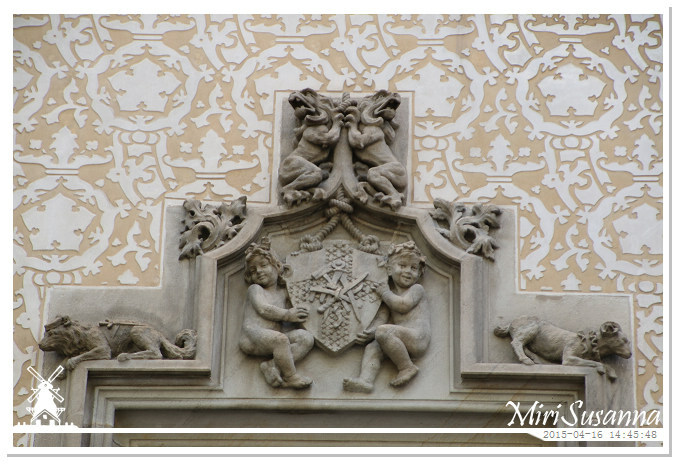 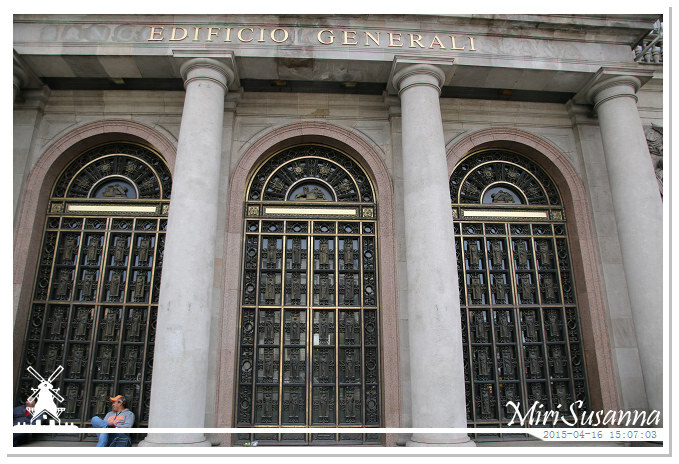 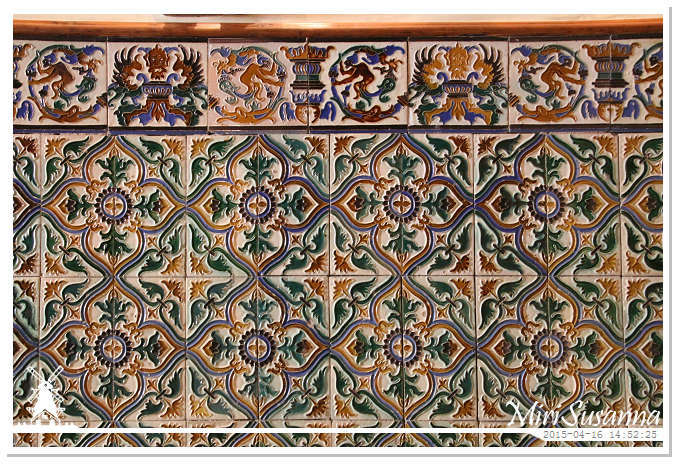 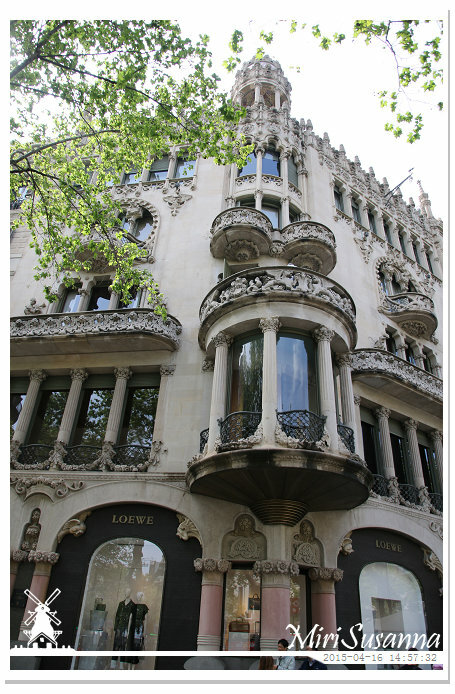 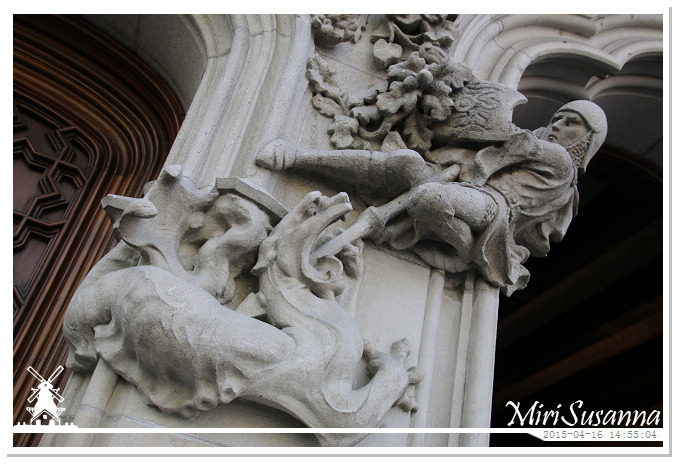 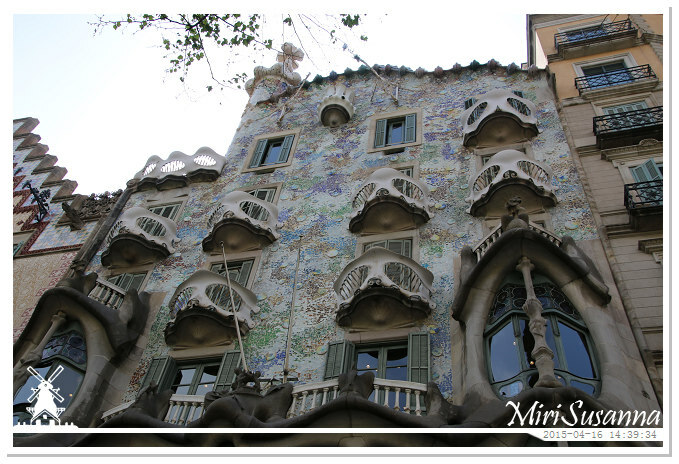 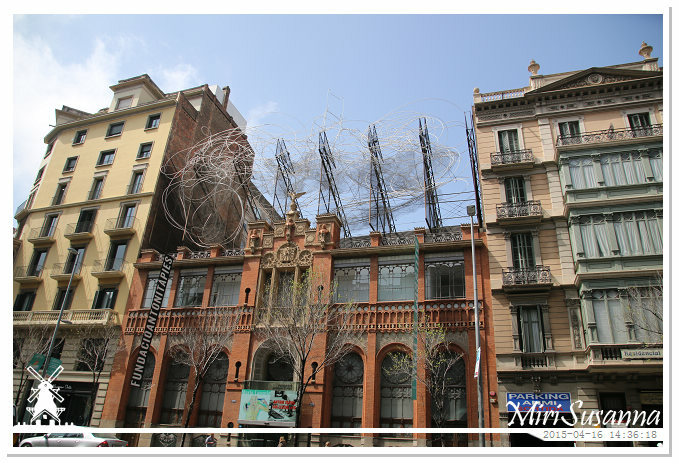 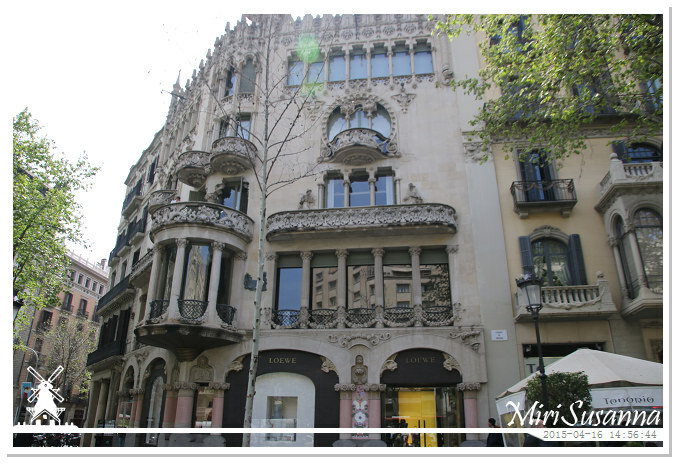 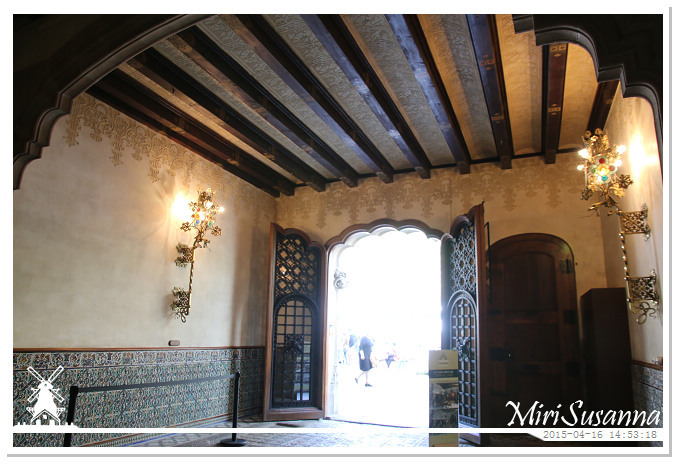 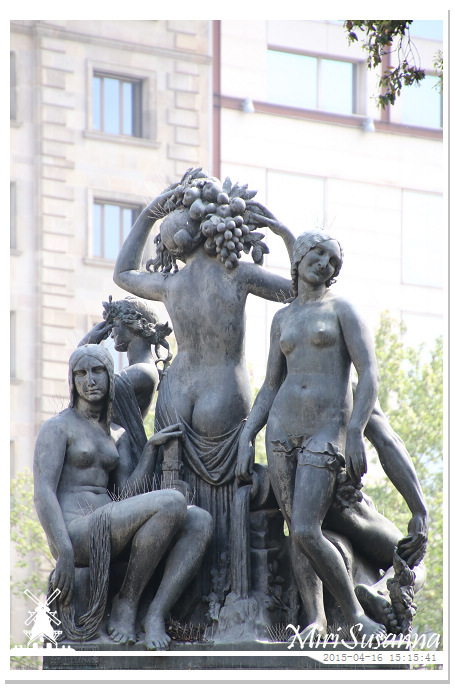 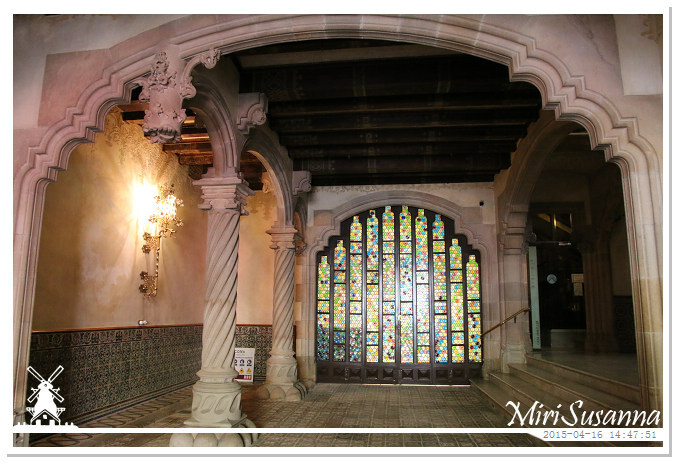 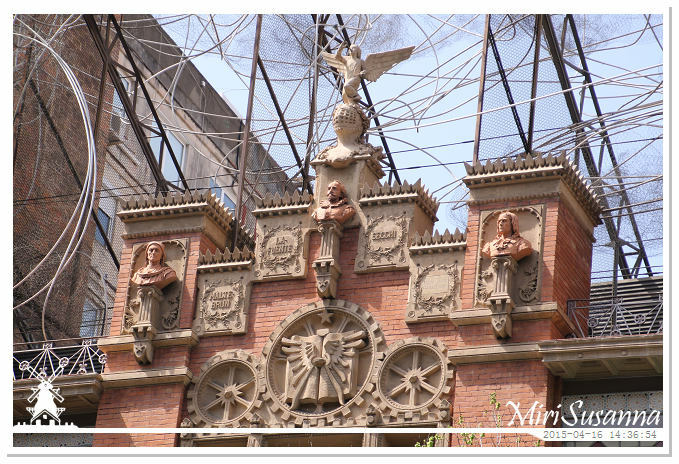 The Illa de la Discòrdia (English: Block of Discord; Spanish: Manzana de la Discordia) is a city block on Passeig de Gràcia and it is noted for having buildings by four of Barcelona’s most important Modernista architects. 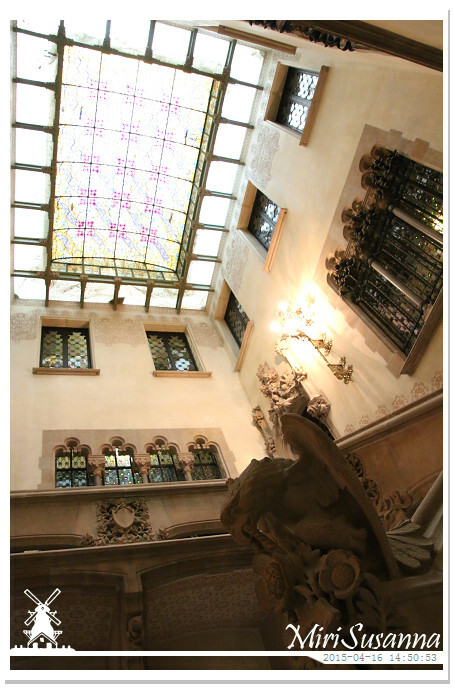 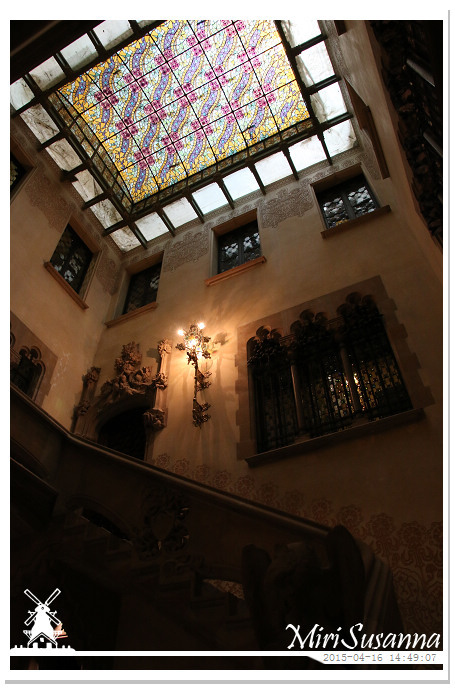 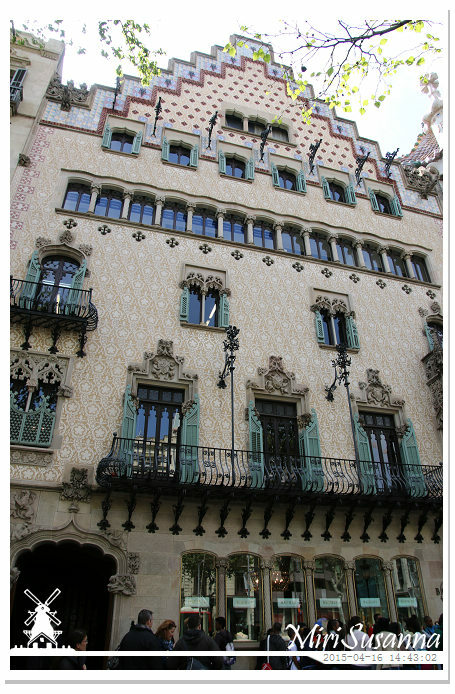 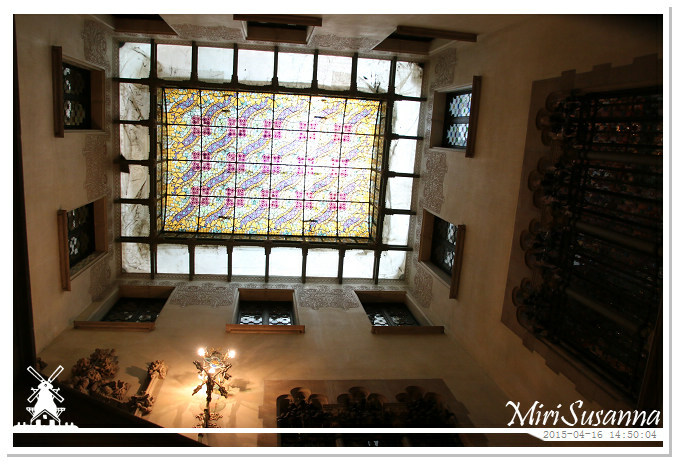 There are the Casa Lleó-Morera, at Passeig de Gràcia 35, designed by Lluís Domènech i Montaner; Casa Mulleras, at Passeig de Gràcia 37, designed by Enric Sagnier; Casa Amatller, at Passeig de Gràcia 41, designed by Josep Puig i Cadafalch; and Casa Batlló, at Passeig de Gràcia 43, designed by Antoni Gaudí. 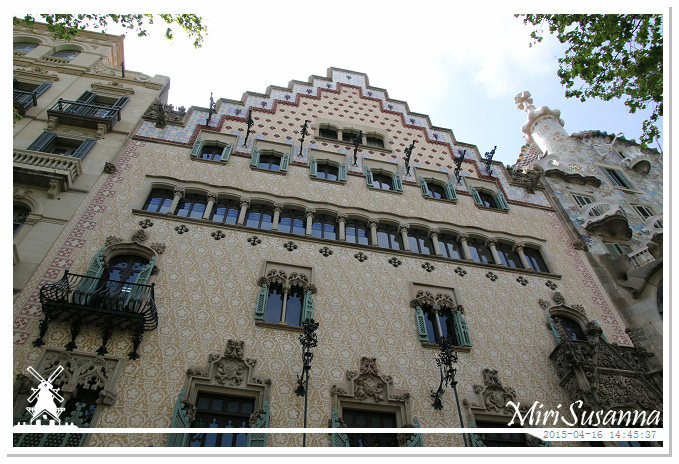 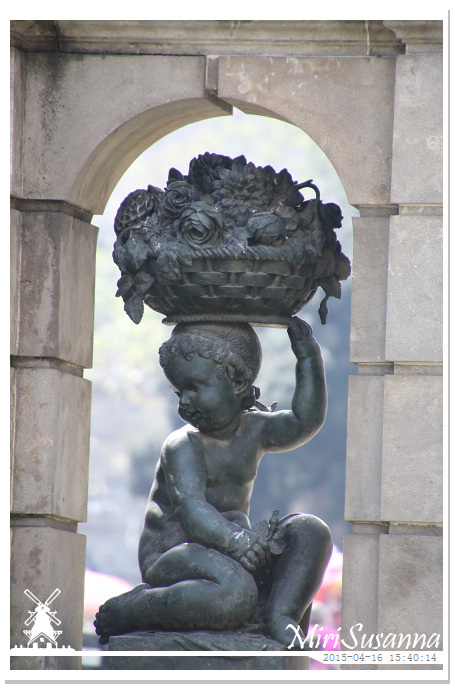 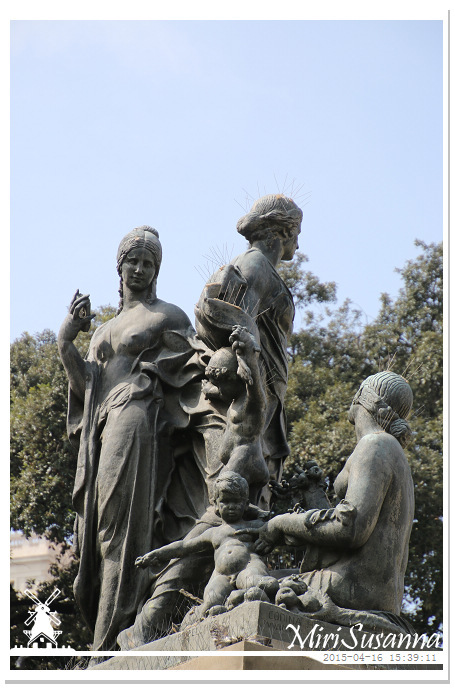 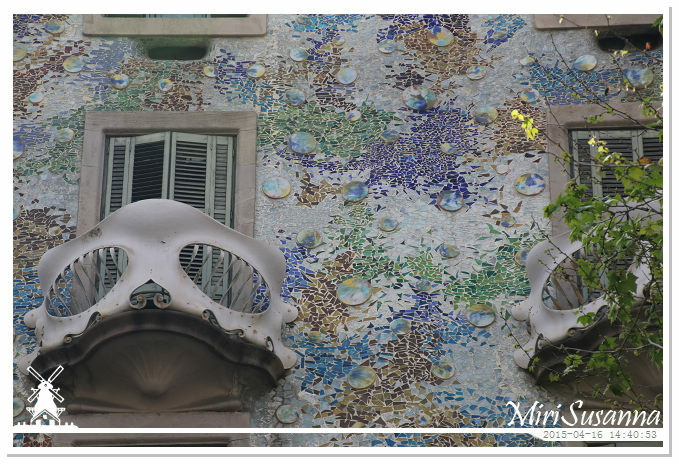 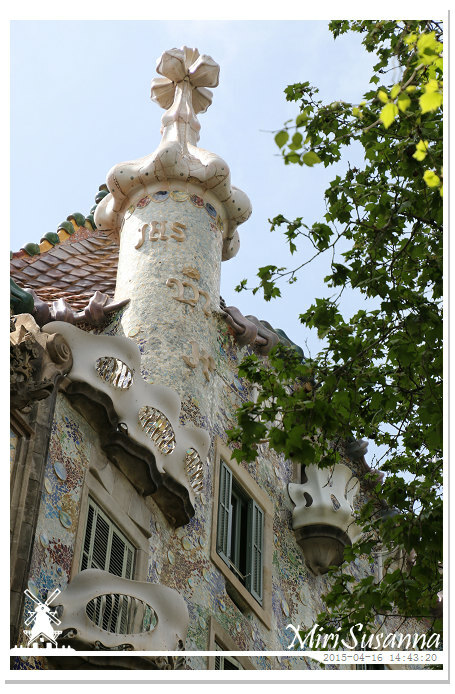 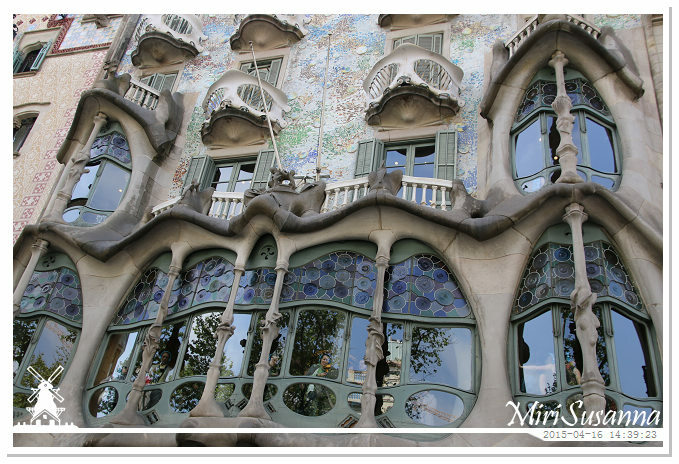 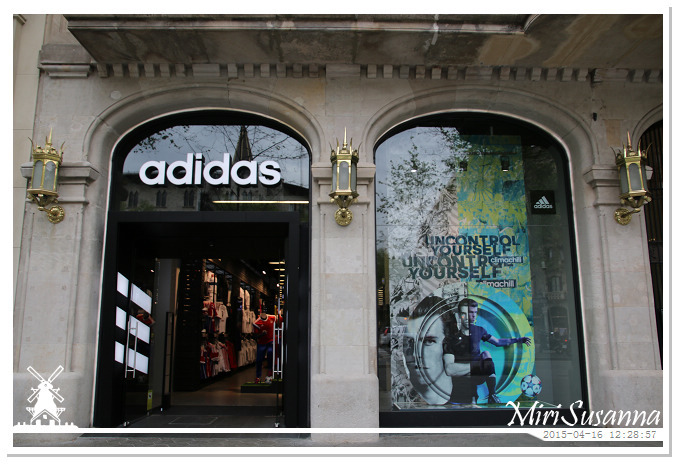 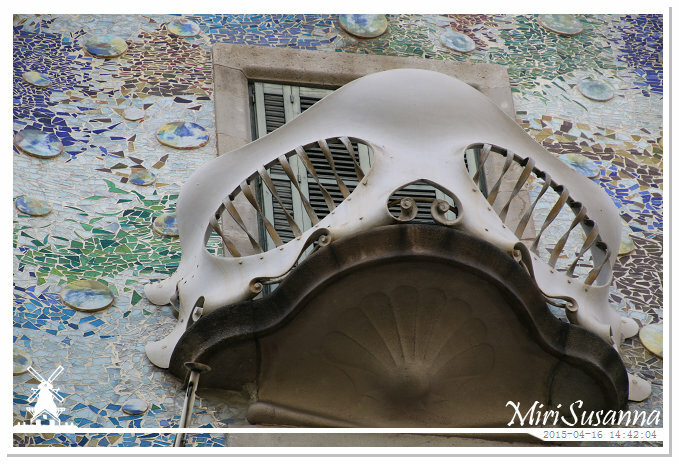 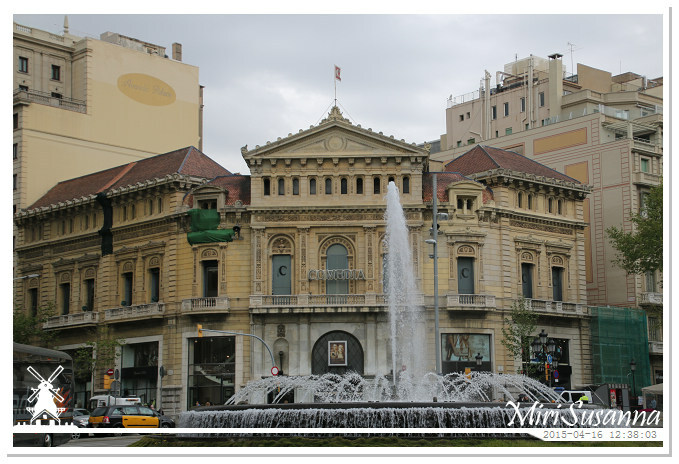 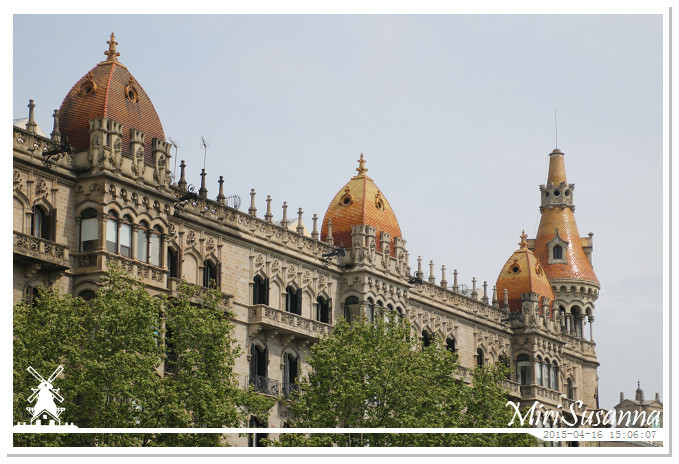 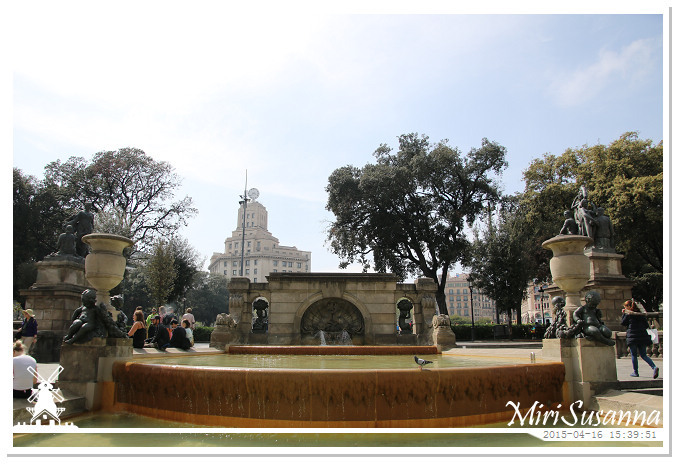 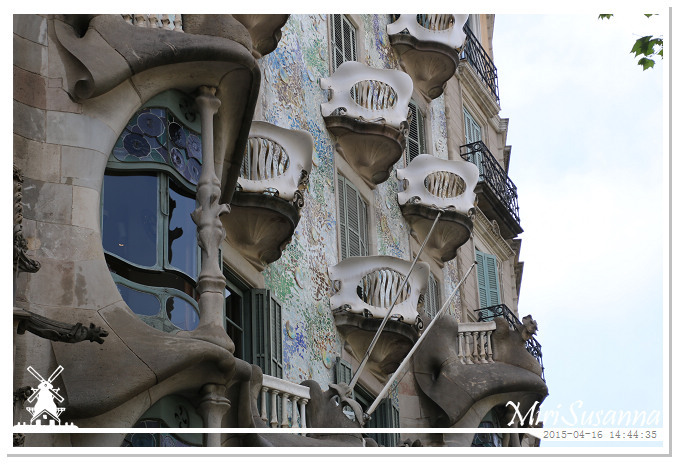 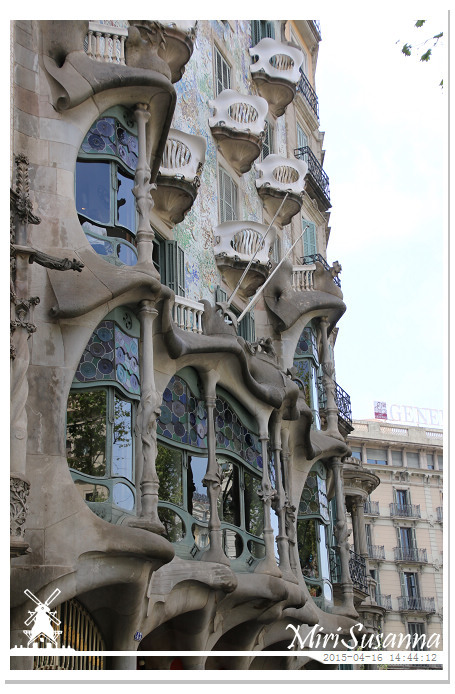 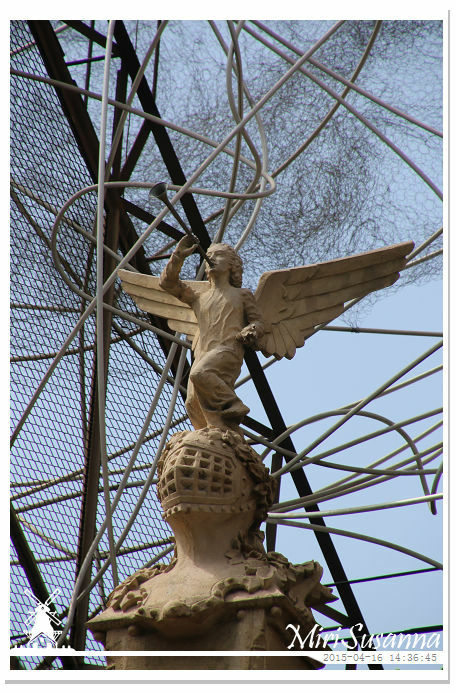 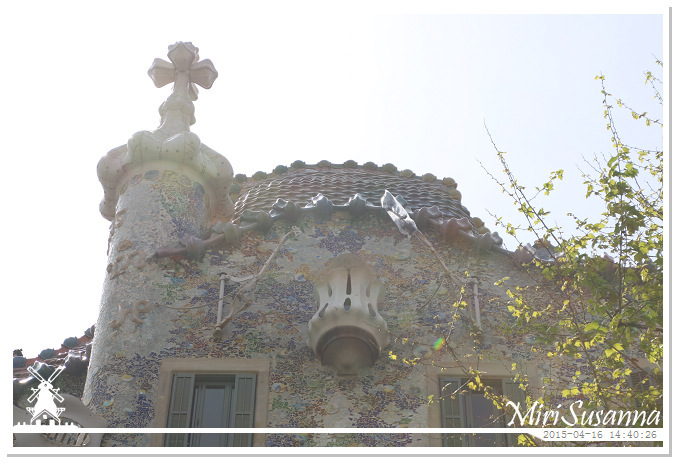 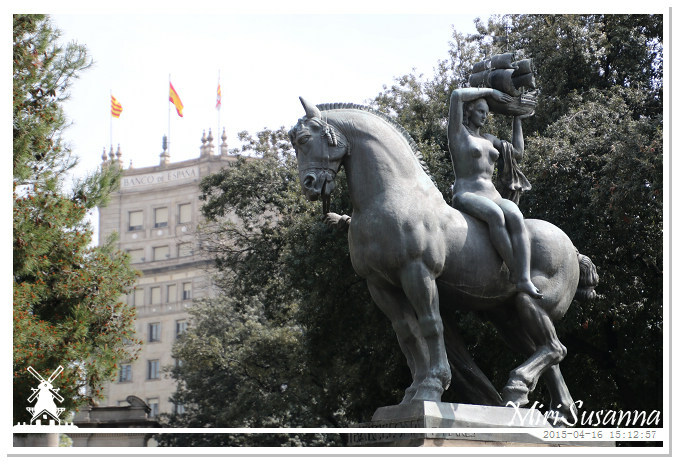 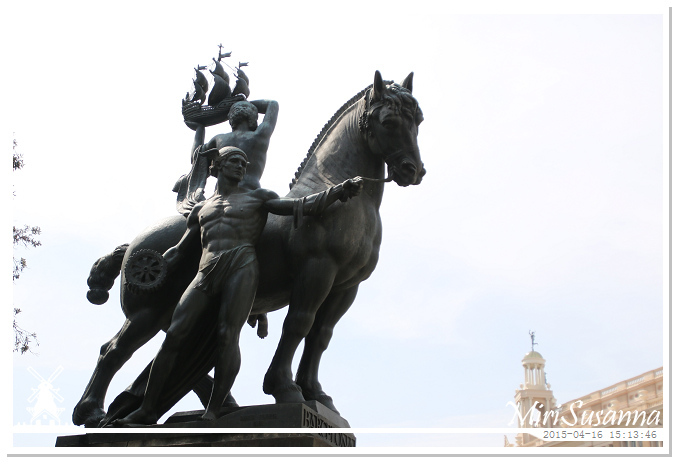 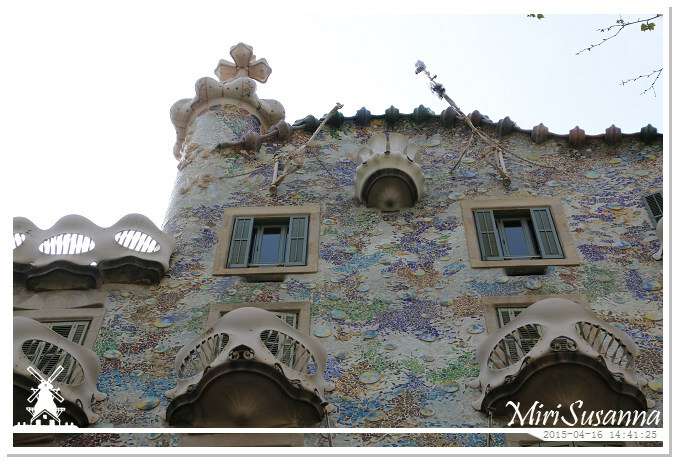 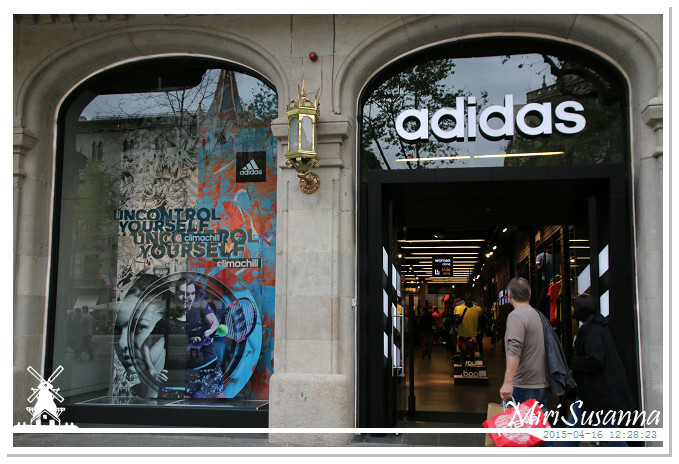 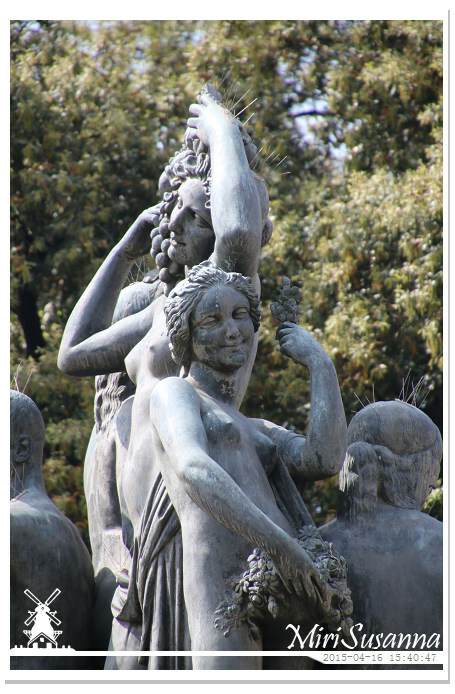 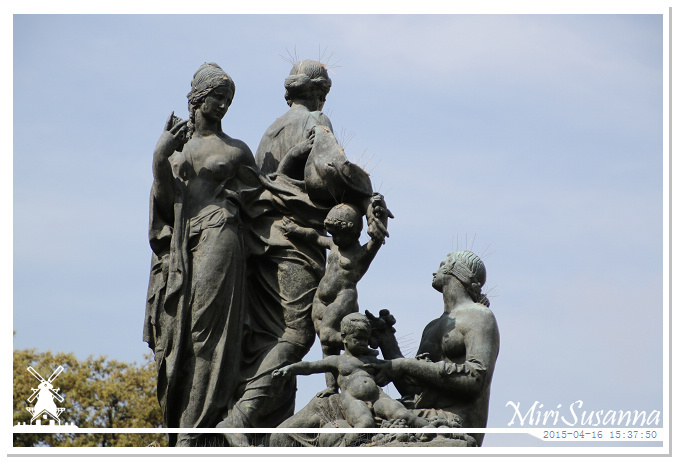 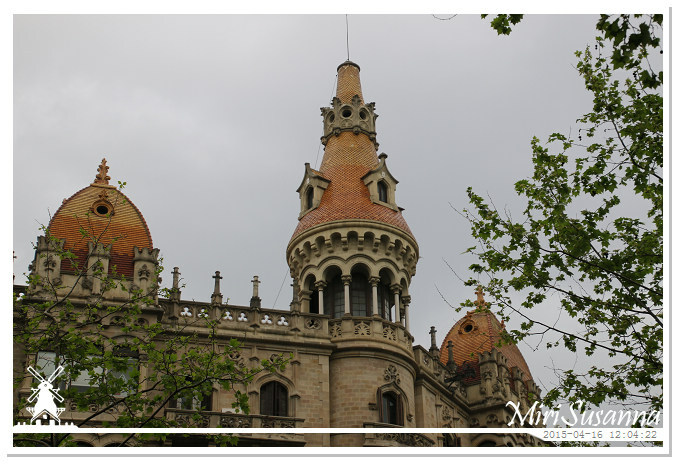 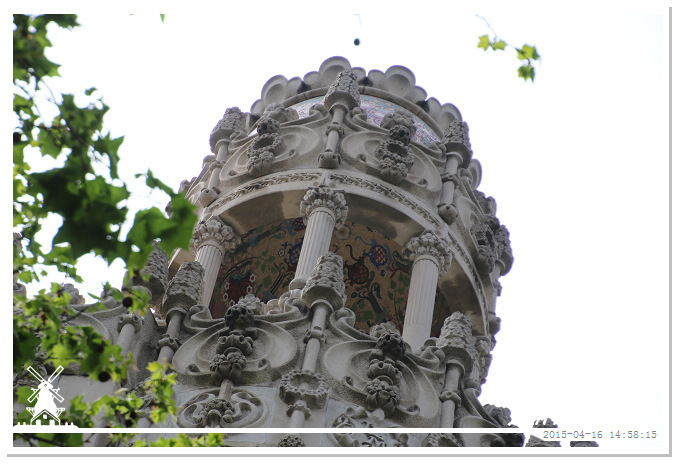 Due to the presence of these famous landmark buildings, the block is a significant tourist attraction in Barcelona. 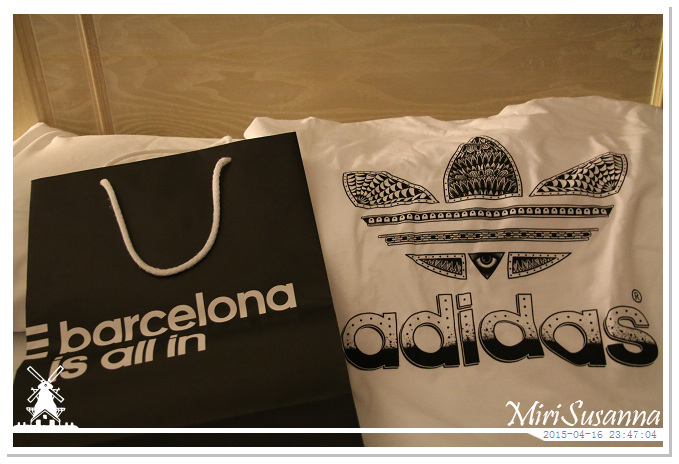 One of my two souvenirs of Barcelona. 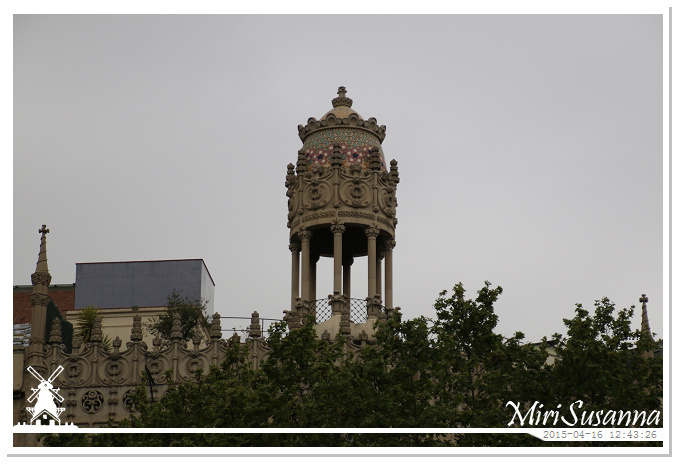 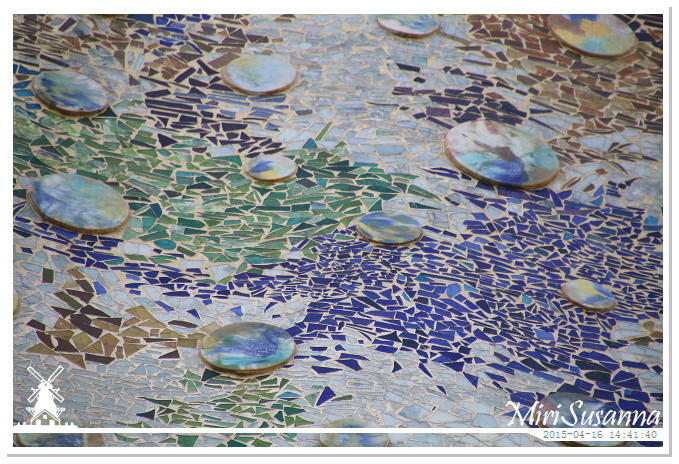 After the rain, we went to Casa Milà (also named as La Pedrera). 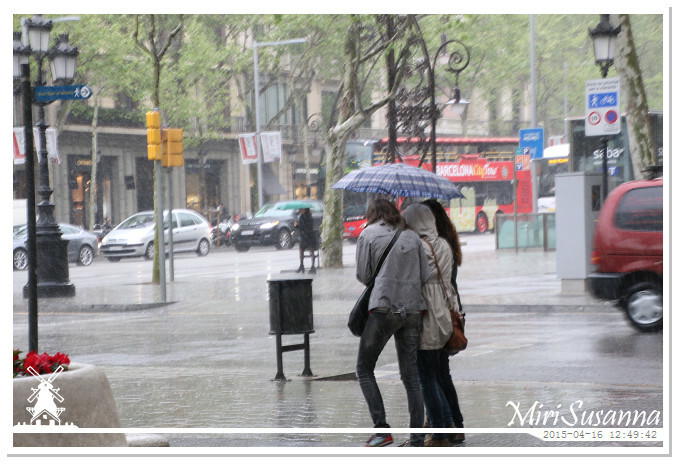 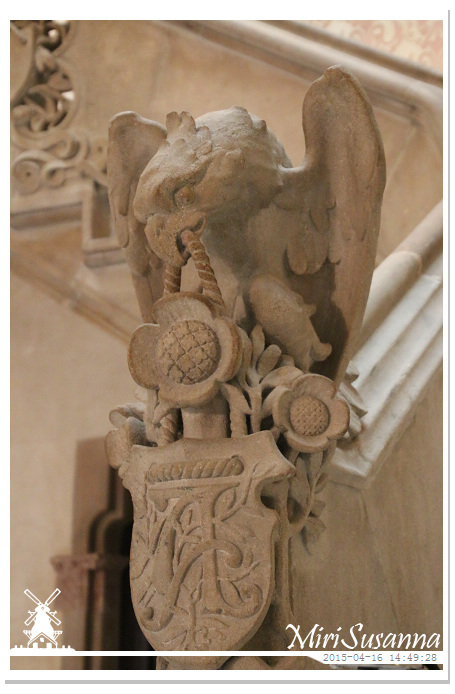 But due to the rain, the top of the building was closed for visiting. 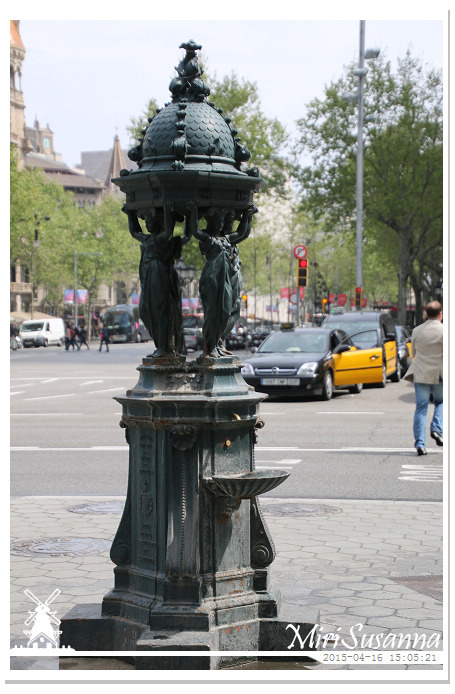 So we turned back and looked for the next at Passeig de Gràcia. 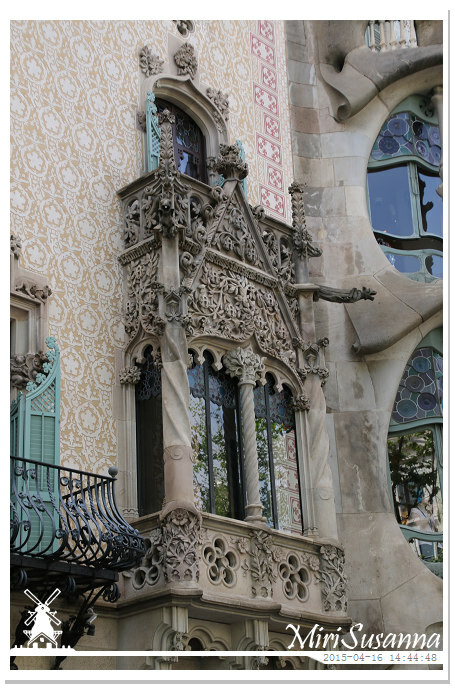 In front of Casa Batlló. 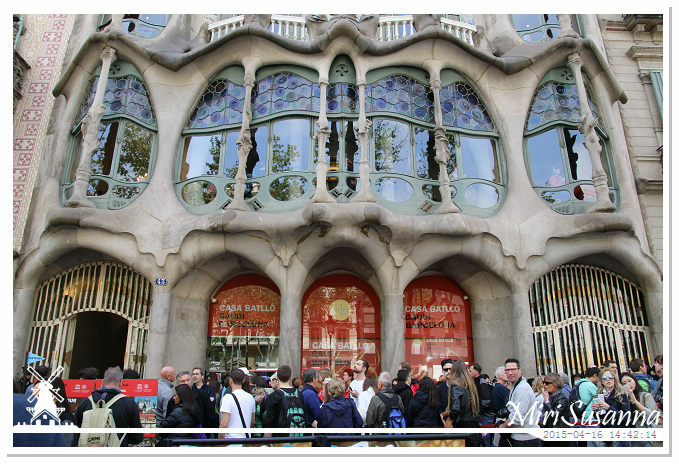 It’s so crowded with long line, we decided to pass this point for visiting. 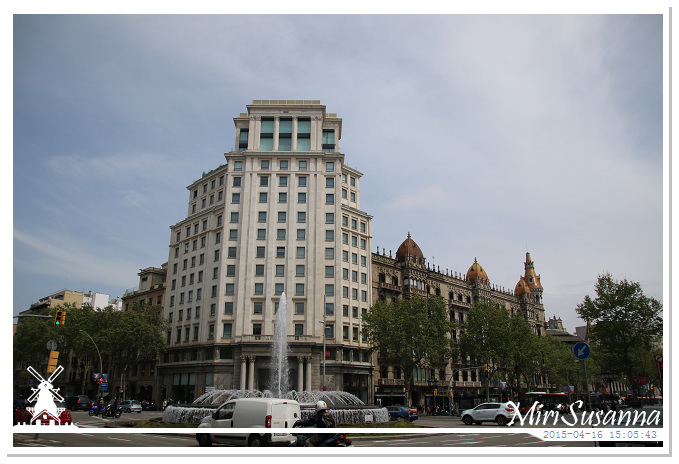 Plaça de Catalunya at the end of Passeig de Gràcia. 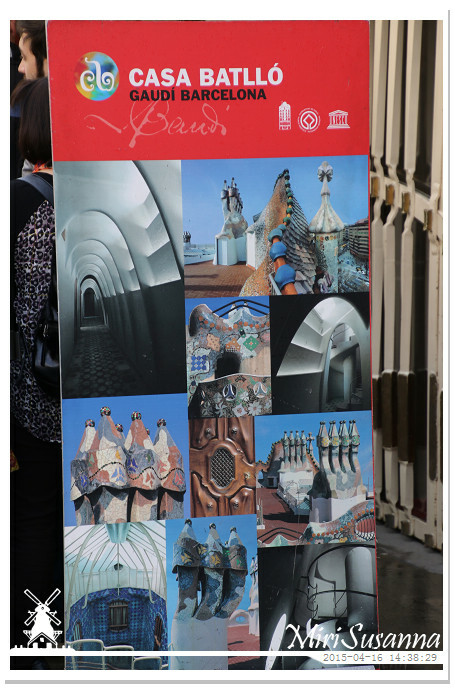 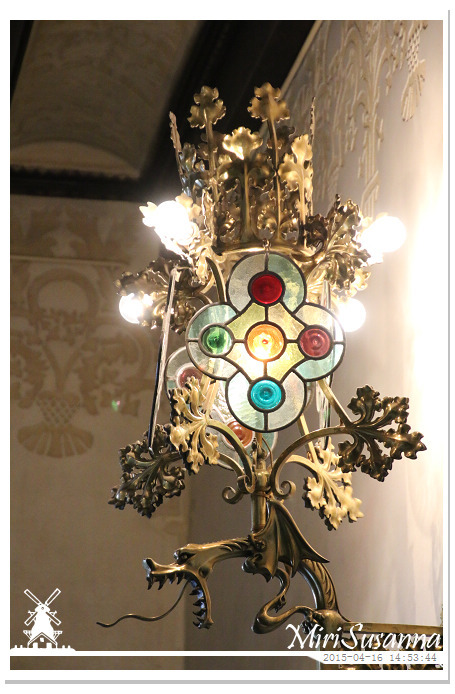 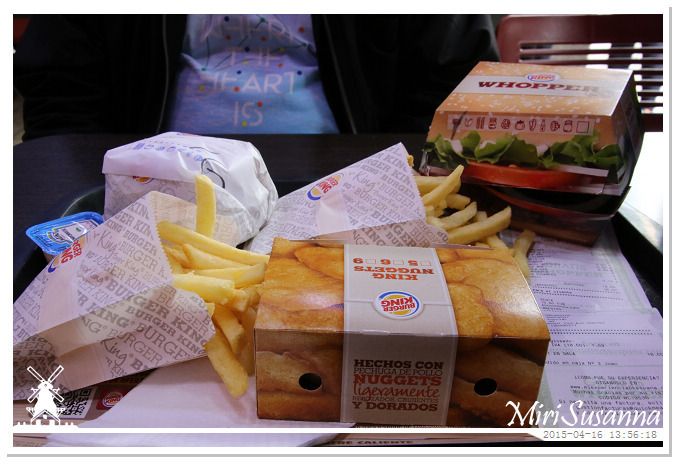 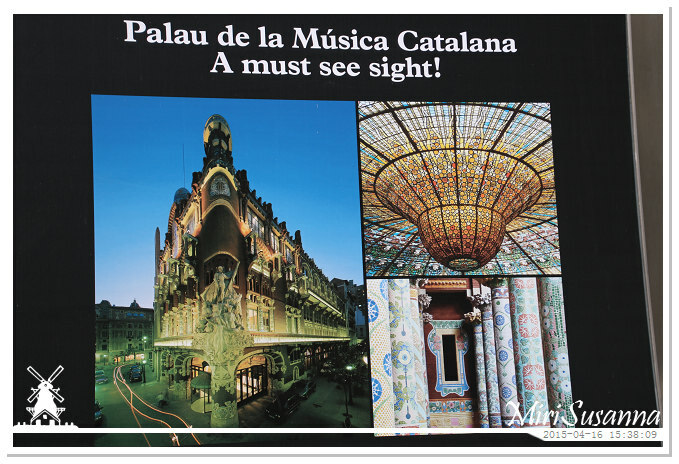 We bought the tickets to visit La Sagrada Familia, Casa Milà and Palau de la Música Catalana at the Tourist Centre.